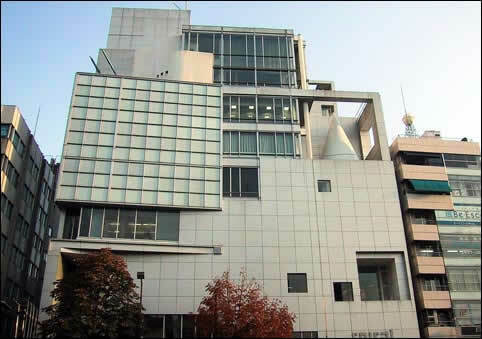 Spiral (Building) in Tokyo, Japan hosted a week-long tribute to industrial designer, Raymond Loewy in November of 2002. 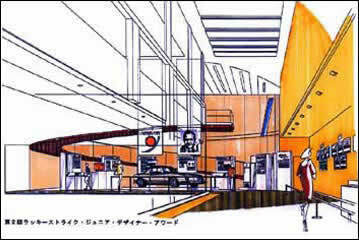 The exhibit was organized and sponsored by the Japanese Raymond Loewy Foundation. The exhibit featured Steve Cabella's 1963 Avanti and included other Loewy designs such as the 1929 Gestetner duplicating machine, the 1934 Sears Roebuck Coldspot refrigerator, the 1937 Pennsylvania Railroad S1 locomotive, the 1940 Lucky Strike cigerette pack, the 1946 Greyhoud Scenicruiser Motorcoach bus, and the 1947 Coca-Cola Dole Deluxe dispenser. The Avanti and other industrial and packaging designs by Raymond Loewy, were exhibited along with the winning entries in the 2002 Lucky Strike Junior Designer Award competition. Spiral Building by architect Fumihiko Maki in Aoyama, Tokyo, Japan. Raymond Loewy exhibit in Spiral Hall, Tokyo. 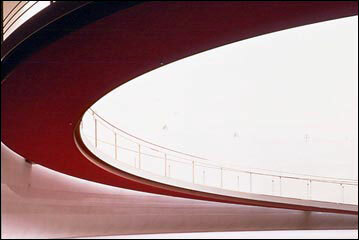 The building has a floating spiral ramp that encircles the rear gallery space and climbs to the second floor.